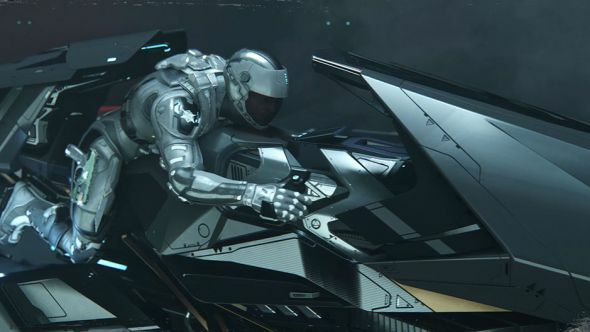 Over the weekend some news came out about the latest financial dealings of Foundry 42 and Cloud Imperium Games, the money-making monolith that’s slowly (ever-so slowly) putting Star Citizen together. They’ve taken out a loan, a pretty ordinary thing to do, and put up much of their assets as collateral, a slightly less ordinary thing to do. As the usual buzzards have been circling, hoping for their long-sought corpse, Cloud Imperium Games issued a statement clearing up the whole matter. While you continue that wait, here are the best space games on PC. Going by this it’s another mountain made out of Star Citizen’s long-suffering molehill. There are contrary readings of both the documents and the official statement in this lengthy Reddit post, if you’re interested. We’re contacting both Cloud Imperium Games and the bank itself for further clarification.